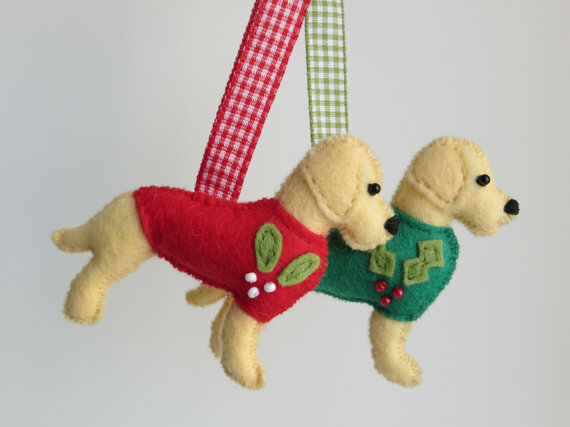 Look at these cute fellas – festive labrador retrievers available as a keyring, keychain or bag charm by MisHeleneous. 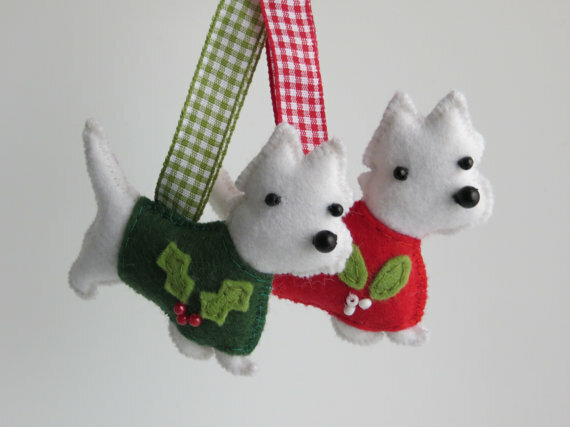 Pop over and purchase from her Etsy shop and check out the other dog breeds also available, like these super cute West Highland Terriers. 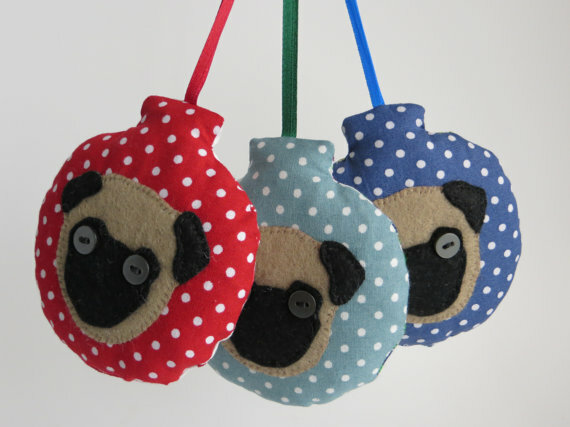 And if that’s not enough what about some woofing wonderful Pug Christmas baubles for the tree?